Please complete the EB5 Visa enquiry form below to receive information regarding the US Immigrant Investor Visa. After you receive your EB5 information, we prefer that you set the pace. We only send occasional EB-5 Program updates to those on our mailing list. Contact Richard Robinson when you have questions or when you wish to set up a one-to-one meeting. You can also text “YOUR NAME – EB5 QUERY” to Richard’s mobile: 07879 402 789 and he will get back to you. Find out more about the current EB5 offering from American Life – 255 South King Street – (pictured here) which has already received EB5 Visa approvals. Use our EB5 Visa enquiry form here. American Life has built four hotels with EB5 investments in three cities. 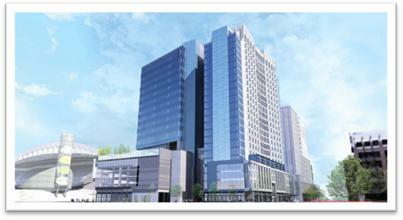 There are places left in the current offering, 255 South King Street, Phase II and it is already 70% let. Make your EB5 Visa Enquiry with the form above.